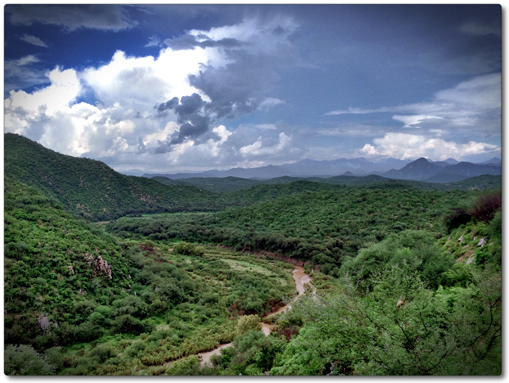 This trip report presents our interpretation of several meetings with E-Tech, Bill Steen of the Canela Project, and Sonoran community members regarding technical investigations of and reactions to the pregnant leach solution spill from Grupo México (GRUPO MÉXICO)’s Cananea Buenavista Mine on August 6-8, 2014. The spill sent highly acidic, metal-rich mine waters into the Rio Bacanuchi and the Rio Sonora. E-Tech has received multiple requests from concerned residents along the Rio Sonora, investigators in Hermosillo, and concerned southern Arizonans to visit the region and determine what role we, as a technical non-profit, could play in improving the long-term environmental prognosis of the Rio Sonora, a small section of the San Pedro north of the mine, and the Cananea area in general. Our trip objective was to gather information on what has transpired since the spill and discuss potential actions that could be taken to positively influence the future.